I highly recommend Tracy. 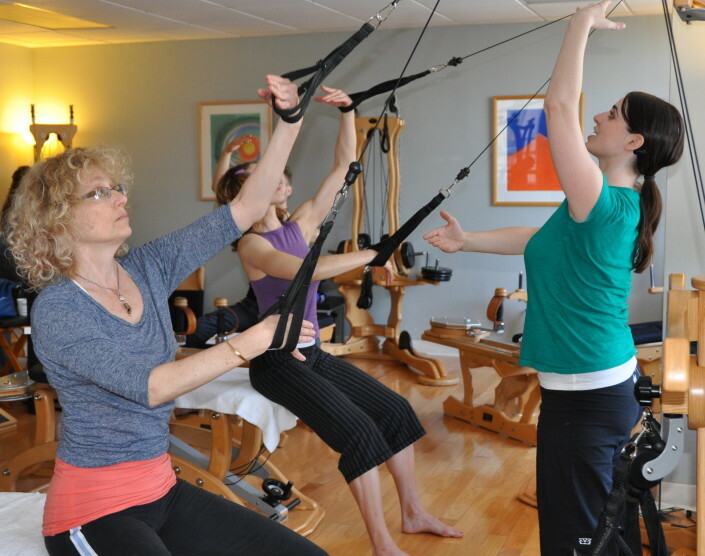 She is one of the finest Gyrotonic trainers I have worked with over the past 15 years. Her technical skills are of the highest calibre. 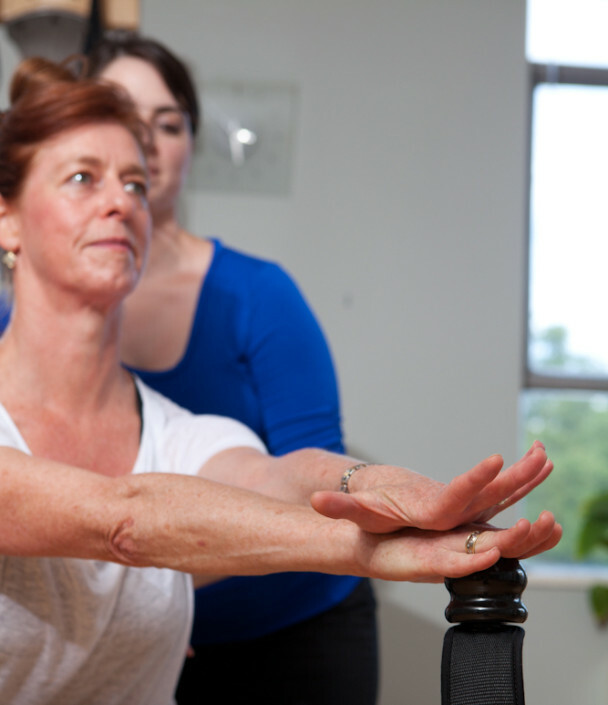 Tracy has a deep understanding of the body’s skeletal system, muscle network and joint movement to keep her clients safe from injury and constantly improving their flexibility and tone. Her routines have great variety, at a perfect pace so the hour flies by and you finish feeling strong, flexible (and 2″ taller). Not only has Tracy improved my golf swing power, but she is a delightful preventative measure at my age (62)! I met Tracy after joining the Elements team, nearly a year ago, and since then I have been able to work with her as a student of the GYROTONIC(R) Pre-Training and Foundations courses and a colleague. The thing that strikes me most about Tracy, as a GYROTONIC(R) and Pilates trainer and really as a person, is her, I can only call it, serenity, and the great knowledge of the body and the work behind that calm. This is reflected in the intonation of her voice; in her expansive and expressive movement quality (smooth, like butter); and in the way she approaches teaching. I was impressed by her organization. She made those of us in the course remain calm, and yet, all the information was thoroughly covered, and I feel confident in understanding the work in my own body under her guidance and watchful eye. And as a colleague she is totally willing to play on new equipment, share her expertise and experience, and absorb what I (and other colleagues) have to offer as well. Basically, she’s pretty awesome at what she does because she has invested the time in her own body, her own practice and her own continuing education. In the three years that Tracy has been my regular trainer twice a week, for a duo and a private session, what I have appreciated most about her is her expert, imaginative adaptability in designing sessions. Of course she can challenge someone with no issues and keep her clients interested with new, intriguing exercises, so when fully healthy I am never bored and can see the progress in strength and flexibility. At my age, though (72), there’s often something or other that’s wrong, and then Tracy designs what we do to address the problem. Whether she is in therapy mode or making cautious, clever modifications to the usual basic patterns, I trust her to listen to me, to know my body better than I do, and to get me back to free movement. Attentive yet assured, she has an excellent personality for this work, where clients want to feel safe but stretched (in both senses). I very much hope that she will stay at the studio for a long time. Thank you, Tracy.